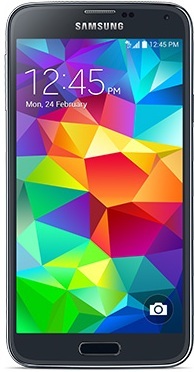 The Samsung Galaxy S5 comes with 5.1-inch Super AMOLED display with 1920 x 1080 pixel resolution and 432 ppi. Although there is not much change in design department as compared to its predecessors, but the back cover now comes with a dotted pattern. The Galaxy S5 runs the latest Android v4.4.2 KitKat OS and you can be sure to get future version updates as well. It is powered by a 2.5GHz quad-core processor, accompanied by 2GB RAM. The phone is IP67 certified and is dust and water resistant. The phone comes with 16 and 32GB internal storage options along with a microSD card slot to expand it further upto 128GB. The Galaxy S5 comes with a home button that also works as Biometric scanning sensor. The Galaxy S5 comes with 3G/4G, Bluetooth 4.0, Wi-Fi, GPS, USB 3.0, IR remote, NFC etc. It also has a Download Booster feature, which allows it to enhance data speeds by bonding Wi-Fi and LTE together. The 2,800mAh Li-ion battery promises a talk time of 21 hours. It also has an Ultra Power Saving Mode which turns off all features and operates the device in black and white mode.